China Glaze 'On Safari' is the new 2012 Fall Collection. featuring earthy tones and rich plums this collection is full of safari inspired colors. 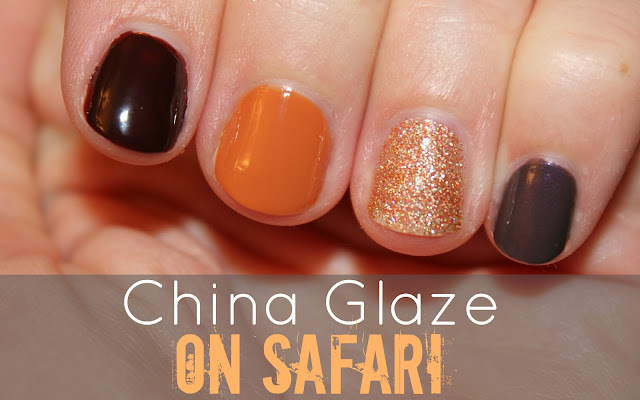 i was given the opportunity (thank you, China Glaze!) to swatch and review some of the new colors. while the image above doesn't quite do the darker colors justice, the image below gives you a clearer look at the iridescence of Jungle Queen and the deep cinnamon tones of Call of the Wild. i am so excited for all of the new makeup and nail polish Fall Collections that are arriving on the scene this week. i have several Fall Makeup Collections to swatch and share with you and will be devoting next week to highlighting these collections. 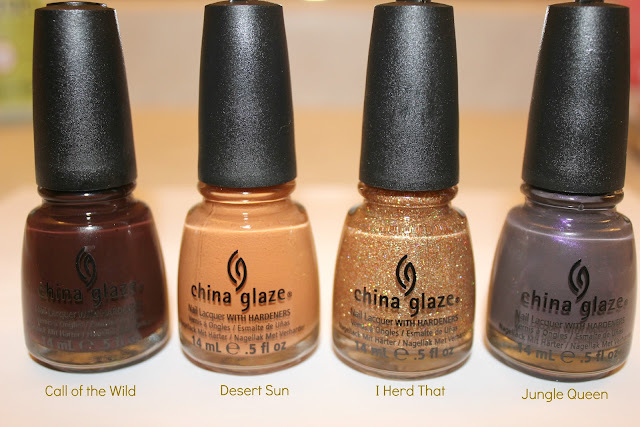 makeup junkies and polish addicts better fasten your seat belts because this China Glaze Fall Collection is only a sneak peak of what's to come. Let's follow eachother? I am having a huge giveaway on my blog! These colors are lovely. Really enjoy this collection. love the colors in this collection. very autumnish.